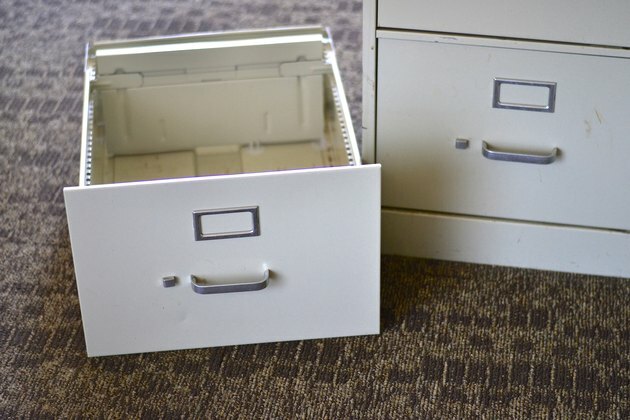 While many multi-drawer file cabinets are built for quick disassembly, Hon lateral file cabinets are not engineered for easy or accidental drawer removal. In fact, you will need a partner's assistance to remove the drawers from your Hon cabinet. When you remove drawers, always start with the top drawer and move down to prevent tipping the cabinet. 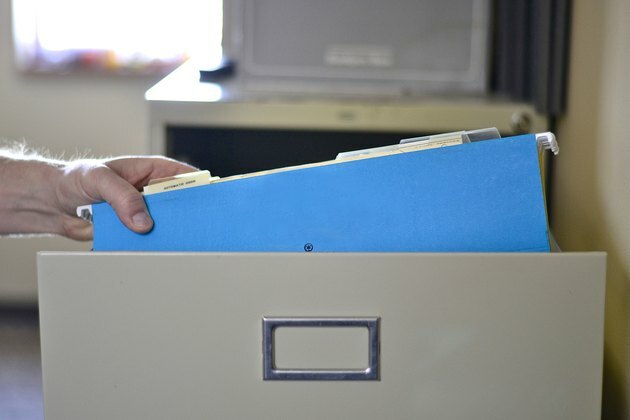 Open the HON file cabinet drawer and remove all files and the file hang-rail bars from the drawer. Always start at the top drawer and then work your way down. Pull the drawer you are removing to the fully open position. The drawer secures to the cabinet with a suspension rail. Push in on the side of the drawer with one hand while pushing up on the bottom of the drawer with your other hand. 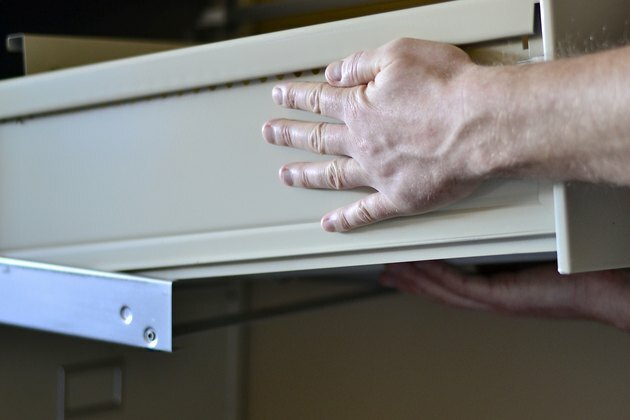 Pull the side of the drawer out of the cabinet and ask an associate to hold the drawer while you release the other side. Push in on the side while pushing up on the bottom to release the opposite side of the drawer. 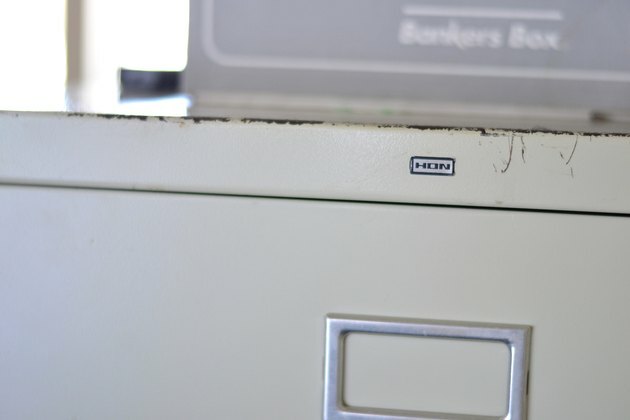 Pull the side out and remove the drawer completely from the HON cabinet.